For those of you in the States, I hope you had a wonderful Independence Day. Freedom is something we should never take for granted either as an American, or as a Christian who has been set free from the consequence of our sins. Continuing in the “Essentials of Our Faith” series, Pastor Cliff Purcell shares some things we need to know about the Holy Spirit: Holy Who? (July 1, 2018). 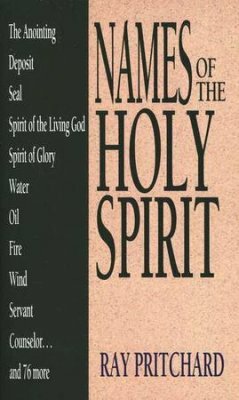 This entry was tagged "Names of the Holy Spirit" by Ray Pritchard (Moody Press), Christianity, Cliff Purcell podcast: Holy Who?, fundamentals of the Christian faith, what do I need to know about the Holy Spirit?, Who is the Holy Spirit?. Bookmark the permalink.